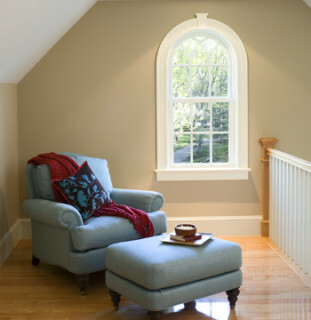 Jemison Window & Door is the trusted local contractor for new windows in Mobile, AL, and Jackson, MS. In addition to these two large cities, we also serve smaller communities like Atmore and Bay Minette in Alabama and Lucedale, Mississippi. We have been exceeding the expectations of homeowners in these areas for 30 years, and we feel that we are just hitting our stride. The new windows that we sell and install provide a host of different benefits. First of all, there is the matter of energy efficiency. If you have old, outdated windows that were manufactured decades ago, they were produced when energy efficiency standards were not very stringent. Plus, there were limitations with regard to new window technology, but things are very different today. All of the new windows Mobile, AL and Jackson, Mississippi area residents can obtain from us are Energy Star approved, highly efficient products. You have multiple panes of glass, argon fills, and low-E coatings, so heat stays inside during the colder months, and the piercing sun is held at bay during the summer. The lower energy bills will offset the cost of the new windows, so there’s no reason to take pause because of cost concerns. The new windows will pay dividends in other ways. They come in many different styles and colors, so the aesthetic possibilities are endless. In addition to the fact that you get to enjoy more pleasant surroundings, the home improvement will increase your home value, and this is another positive monetary dynamic. They are extremely easy to keep clean, and new vinyl windows are maintenance free. There are companies out there that sell new windows, but they don’t have dedicated in-house installation crews. They use subcontractors that are coming from who-knows-where, so you really can’t be sure about the quality of the installation that you will receive. Things are entirely different when you purchase your new windows from Jemison Window & Door. We employ a team of top notch professional window installers that take what they do very seriously. When you engage our company, you can rest assured that your new windows will be installed with meticulous precision. If you would like to discuss your needs with one of our Jackson-Mobile new window consultants, we can be reached by phone right now toll-free at 866-962-8725, and you can click this link if you would rather send us a message over the internet.